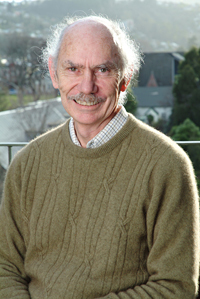 Celebrating the career contributions of Prof. Crispin Gardiner to quantum physics. Prof. Crispin Gardiner turned 70 in 2012 and is planning to retire soon after the FINESS meeting. It is our great pleasure to devote a session of FINESS-2013 to celebrating the immense contribution Professor Gardiner has made to Quantum Optics, Ultra-cold Atoms and Quantum Noise. This session will be held on the morning of Monday the 18th of February, and chaired by Professor Rob Ballagh. The session focus will be on Trapped gases, finite temperature and non-equilibrium dynamics.